LAMBRUSCO: An alternative to Spanish wine. 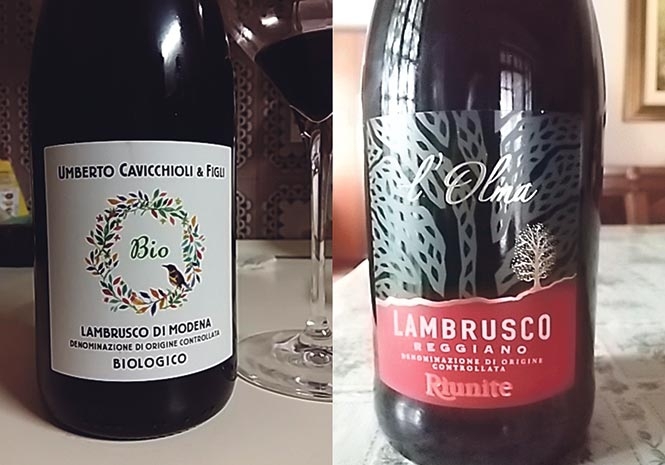 WHILE Lambrusco is not among Italy’s best wines it is one of the leaders in export sales and can be found in wine shops and supermarkets throughout Spain. Lambrusco is the name of an Italian red grape and the wine from Emilia Romagna and Lombardy has a history dating to Etruscan’s times. Most Lambrusco is made from more than one variety and often blended to a maximum 15 per cent with other grapes, including Ancellotta, Marzemino, Malbo Gentile and Cabernet Sauvignon. Mostly frizzante (slightly sparkling), Lambrusco can be secco (dry), amabile (semi-sweet) and dolce (sweet). It is typically made using the Charmat process with a second fermentation conducted in a pressurised tank. While the grape is not particularly sweet, most commercial Lambrusco is sweetened with the addition of grape must. Grasparossa di Castelvetro: From the smallest producing region, typically dry, full bodied, tannic with a deep purplish-red colour. Mantovano: The only Lambrusco from Lombardy, either dry or semi-dry. Reggiano: The most exported and made from up to four types of Lambrusco grapes: Maestri, Marani, Montericco, and Salamino with up to 15 per cent Ancellotta. Salamino di Santa Croce: Consists of at least 90 per cent of Salamino grapes; frizzante, light in colour and body and semi-sweet or dry. Di Sorbara: Regarded as the highest quality; fragrant, with high acidity and berry flavours with deep ruby colour. Generally inexpensive with little complexity and easy to drink, unfortunately the quality of exported Lambrusco rarely equals that found in its native region.